Growing older is simply part of being human. We can only hope that when we’re no longer able to take care of ourselves that there is someone to provide that care with competence and compassion. For many aging folks in Arkansas, that means moving into a nursing home facility. And as a trusted member of their family, you help find the best facility they can afford with the understanding that all their needs will be provided while their rights are upheld. Unfortunately, not every nursing facility in Arkansas lives up to that responsibility. As a nursing home resident, your aging loved one has a number of rights, the most important of which are the right to dignity, respect, and freedom and the right to be fully informed. In short, your aging loved one should retain the same freedoms every other American enjoys. Wherever those rights are compromised, nursing home neglect or abuse can exist. If your aging loved shows indications of any of the above signs of abuse or neglect, call us immediately for a free consultation. 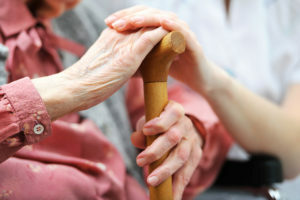 Our experienced Arkansas nursing home abuse lawyers will fully investigate your loved one’s injuries and work to get them the justice they deserve. Don’t wait to get the help your aging loved one needs. Act now and give us a call.